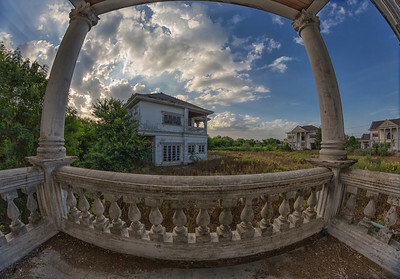 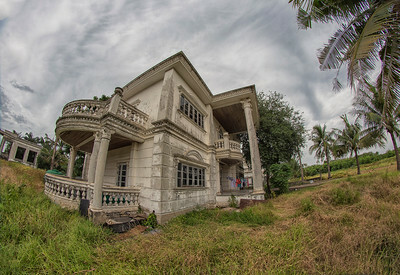 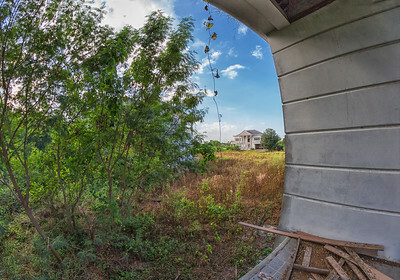 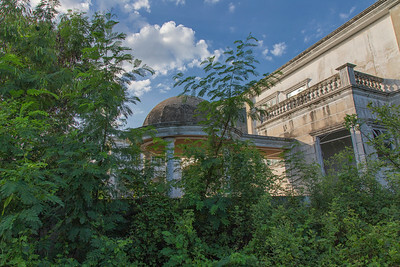 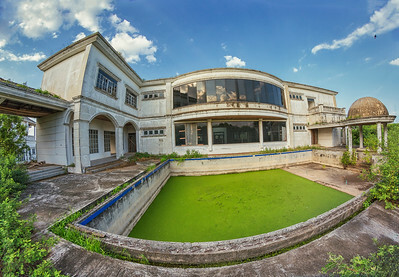 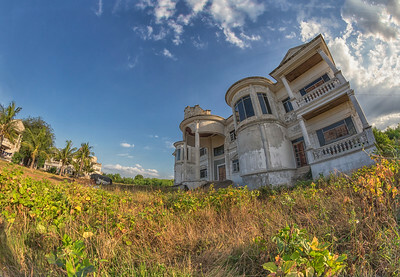 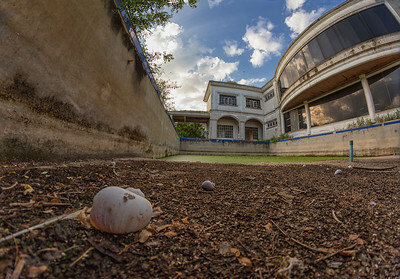 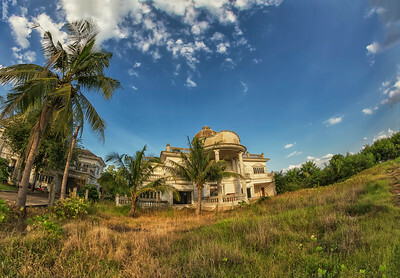 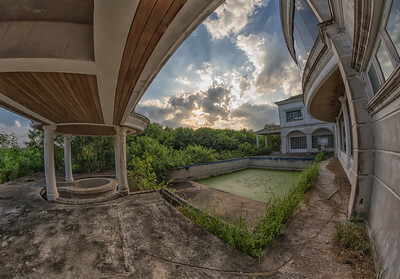 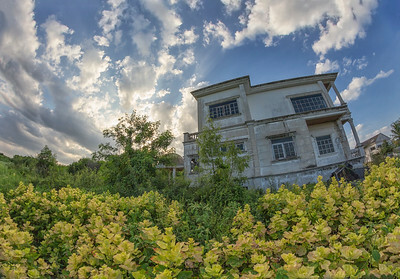 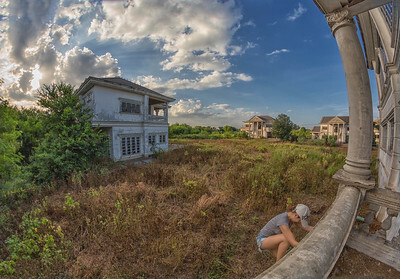 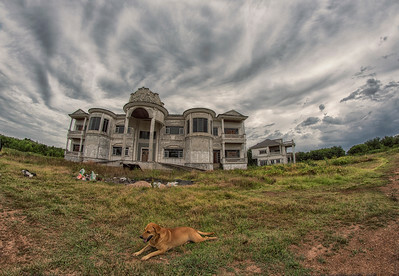 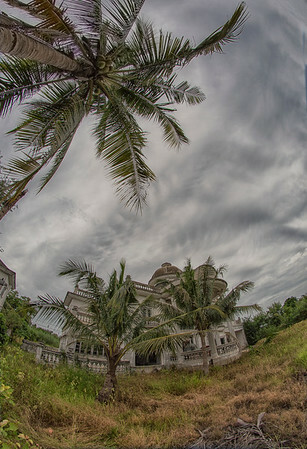 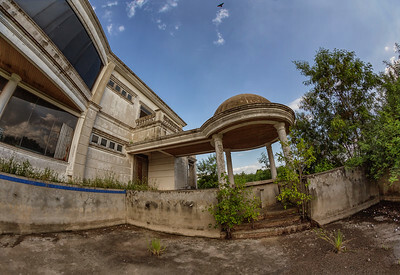 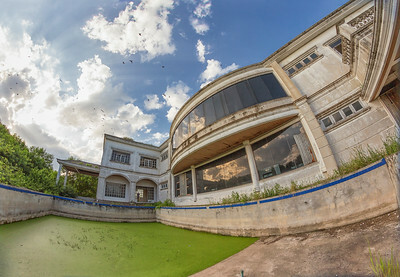 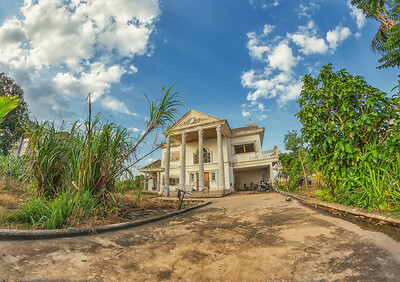 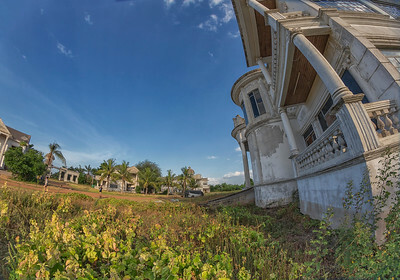 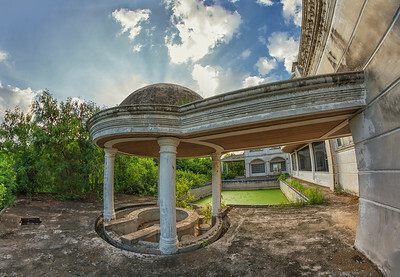 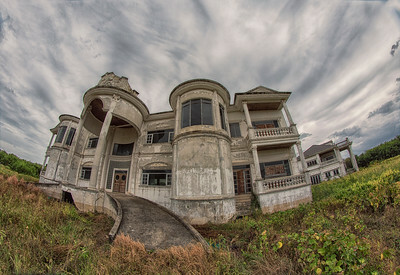 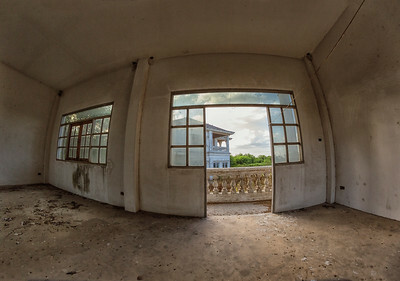 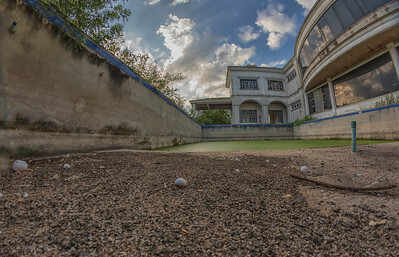 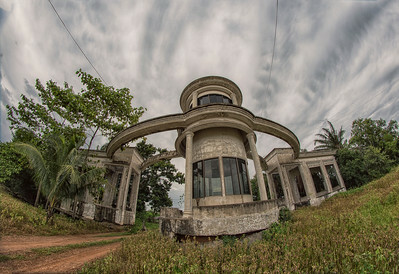 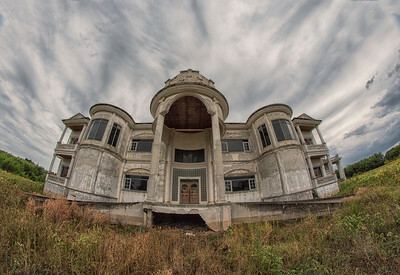 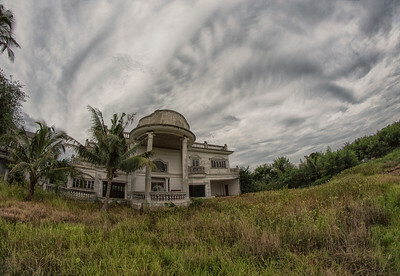 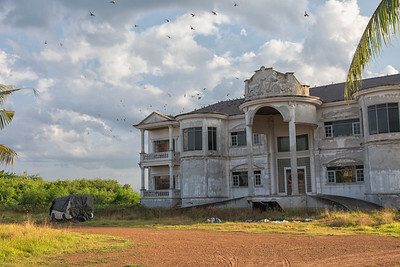 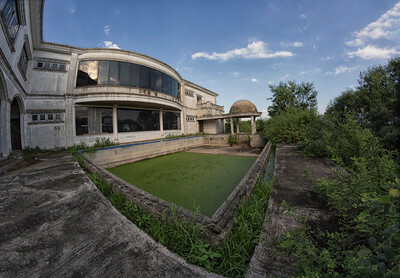 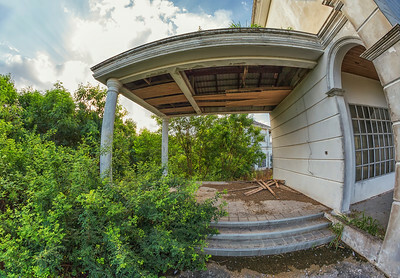 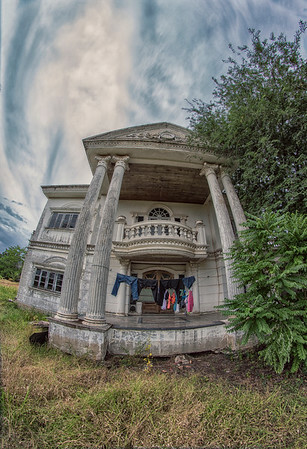 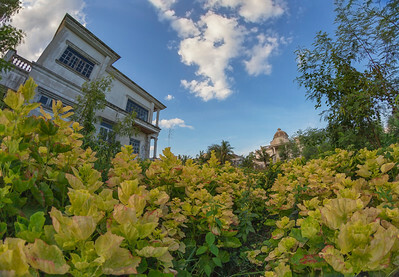 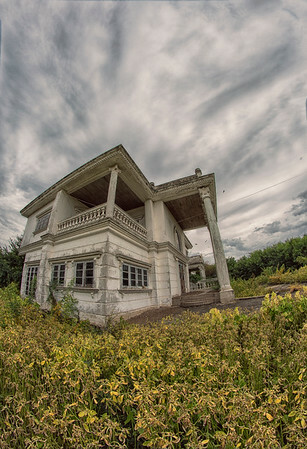 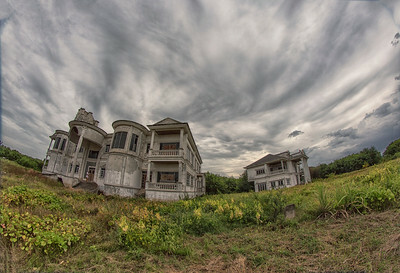 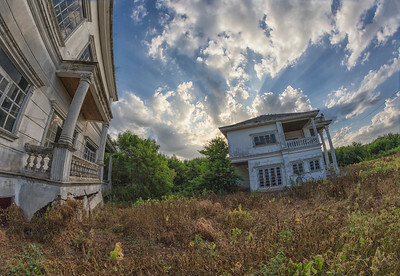 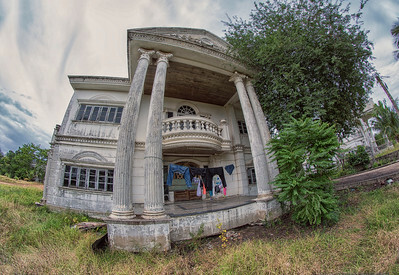 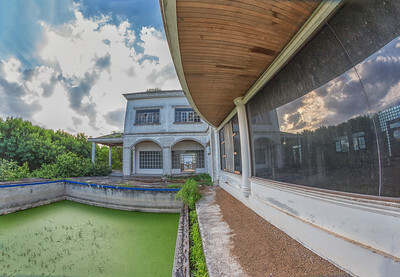 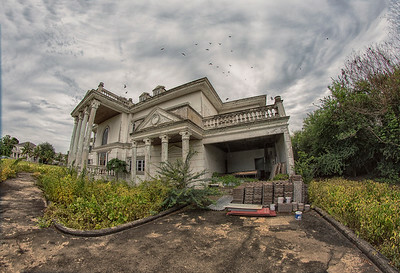 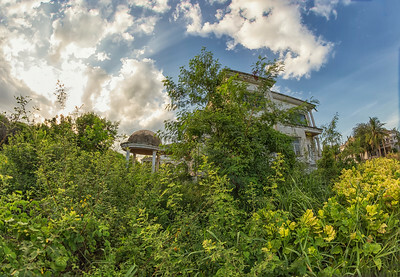 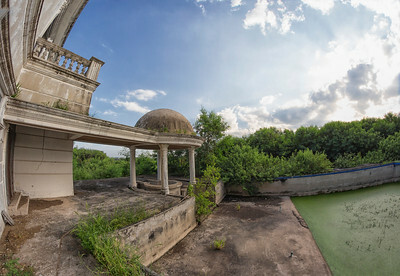 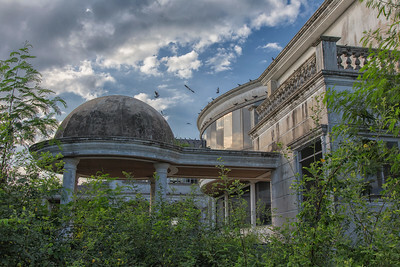 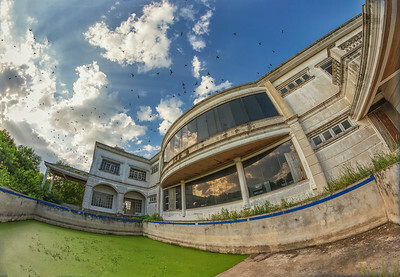 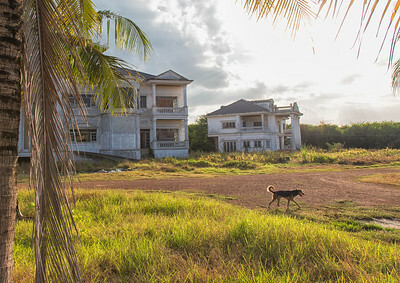 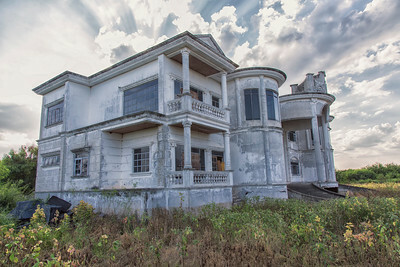 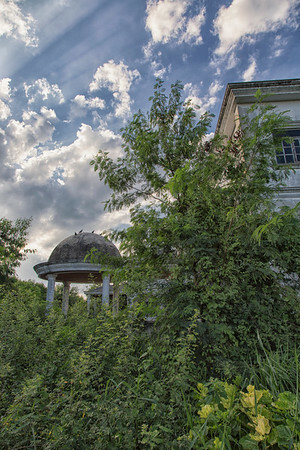 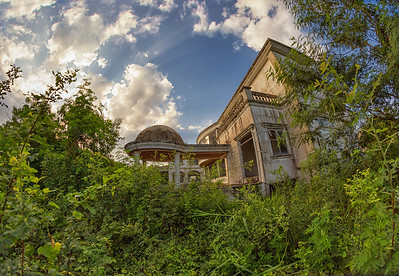 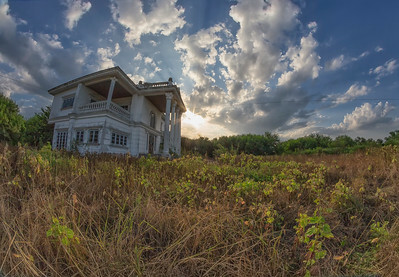 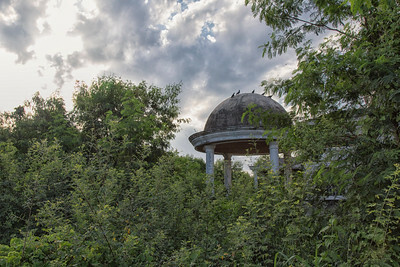 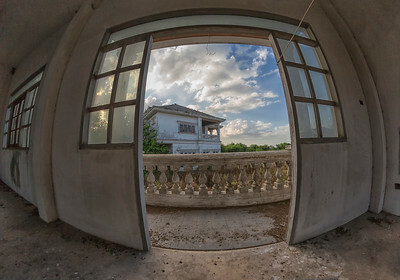 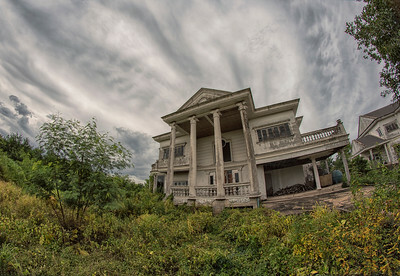 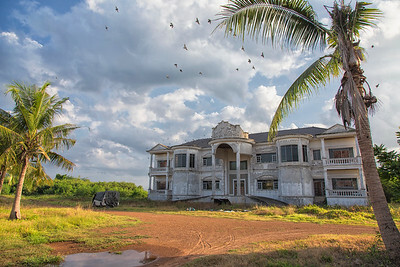 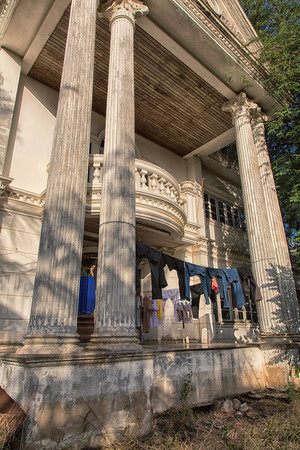 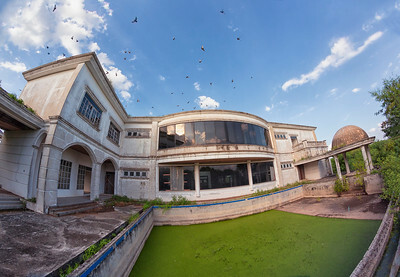 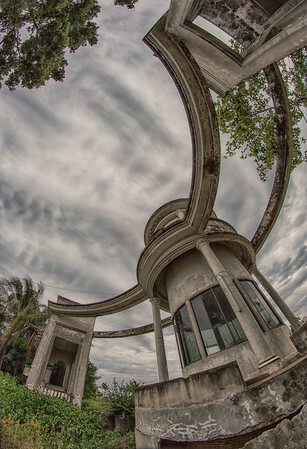 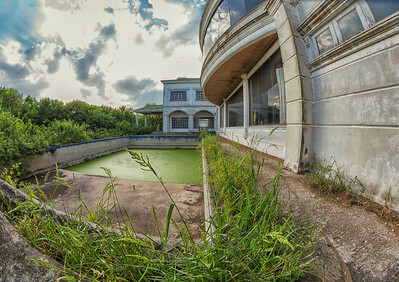 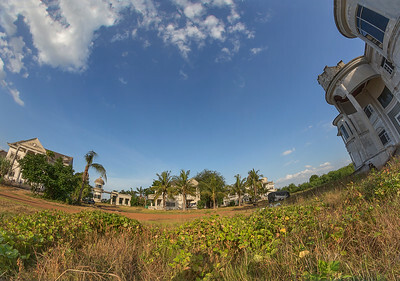 Rising from a moist field on a patch of land just outside of Bangkok, Thailand, five blotched concrete mini-mansions have sat abandoned for 20 years. 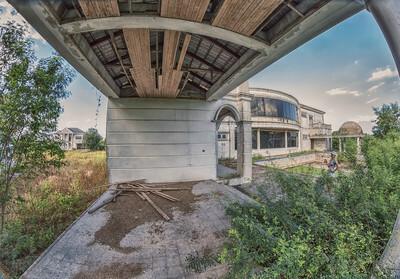 They were once part of a planned upscale subdivision construction project to build homes for the wealthy in the quiet suburb of Nakhon Pathom, just a stones-throw away from the bustling capital city. 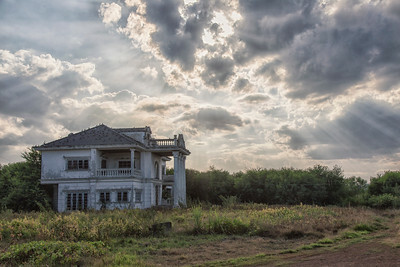 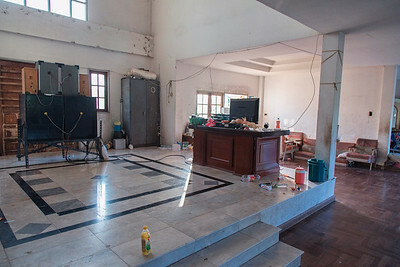 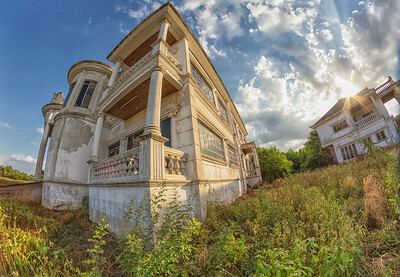 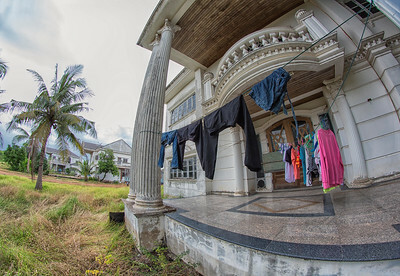 These abandoned homes are one of many casualties of the 1997 Asian Financial Crisis, with the construction company filing bankruptcy mid-build. 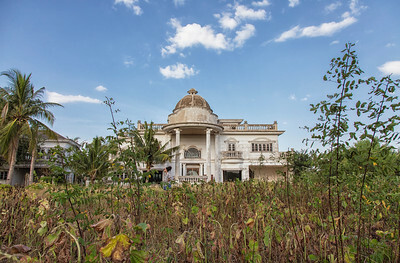 The 300 rai (120 acres) of land surrounding the homes has become more expensive in recent years, it’s price having skyrocketed after the 2011 floods. 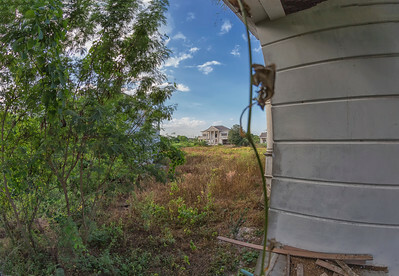 The area was proven to not be affected by floodwaters that ravaged the region, deeming it a safe location to construct homes & businesses. 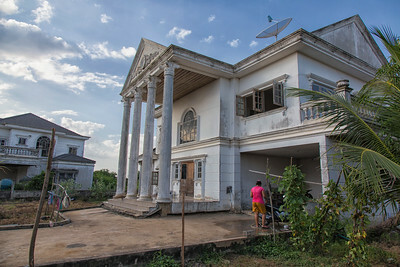 The houses meant for the affluent now host two families of modest means who live rent-free as caretakers of the property. 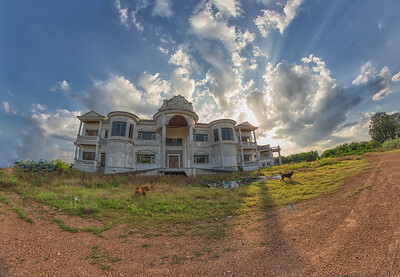 They’ve now been there for 15 years, living happily in spacious, though sparsely furnished homes that were meant for the rich. 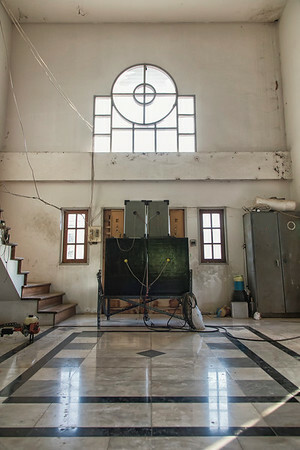 The company that owns the site provides the caretakers with free electricity & water, along with a small monthly stipend. 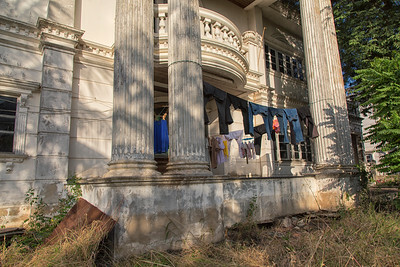 The caretaker families occupy two of the houses nearest the road, while the three others in the back of the property, including the largest with a pool and wet-bar, remain boarded up and unoccupied. 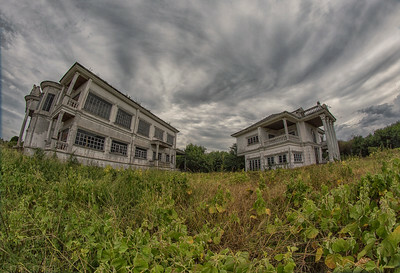 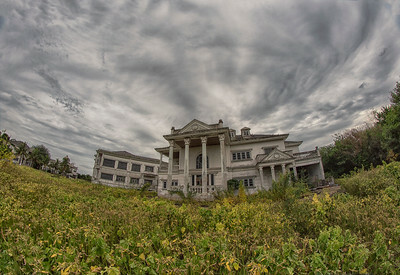 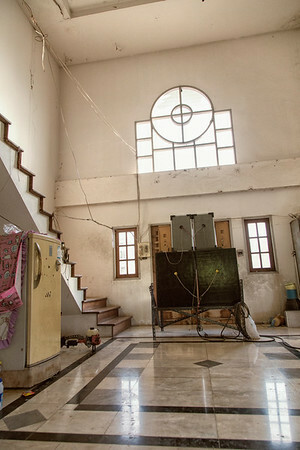 According to the patriarch of one family, the uninhabited dwellings are seen as haunted, with the families keeping clear of them for the most part. 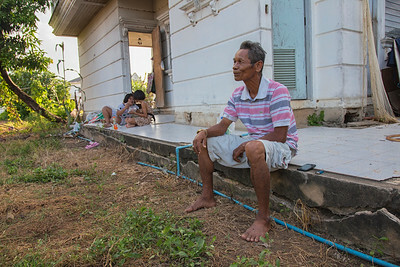 The people there are very kind & welcoming, common traits of many ‘everyday’ people living in rural areas across the Kingdom. 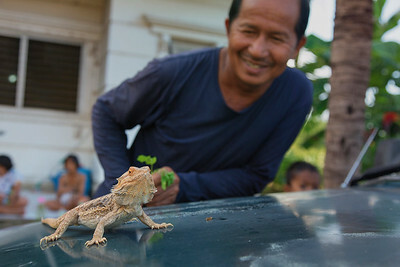 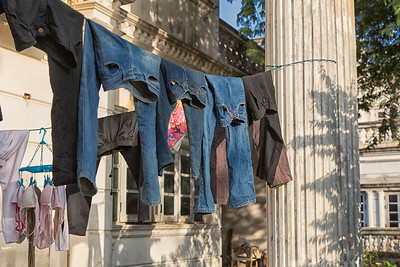 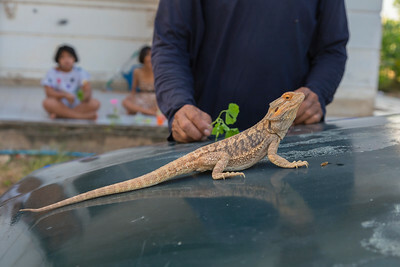 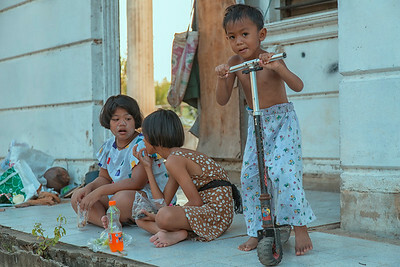 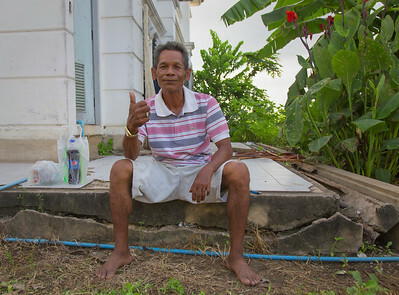 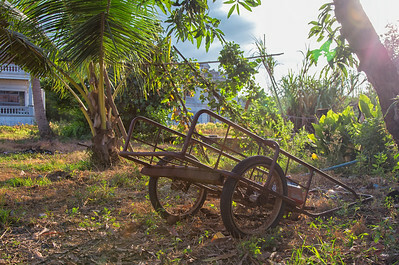 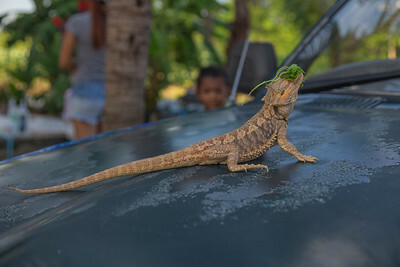 The family members happily go about their daily routines of washing up, preparing food, playing with pets, and doing some motorbike maintenance. 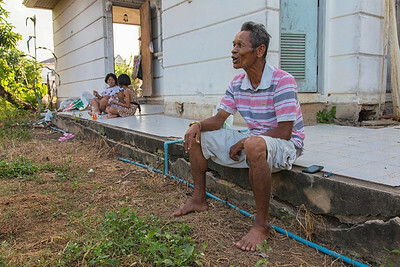 The interiors are sparse of furnishings, aside from basic necessities, but the inhabitants live pleasantly with plenty of living space for their extended families. 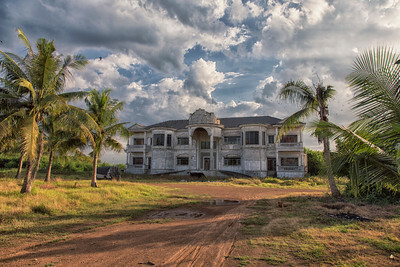 The families seem to be happy in their way of life, living in opulent homes that, if finished, would be far outside of their modest financial means.